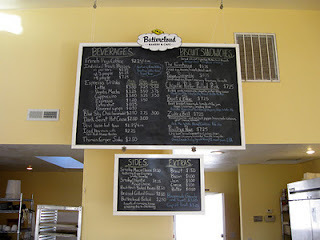 Buttercloud Bakery and Cafe: Grand Opening Event! After many long hours preparing the space we are finally ready to unveil Buttercloud to the public. Please come out and help us celebrate the opening of Medford's newest bakery and cafe on Friday, November 4th from 9-11 am. There will be free samples, periodic drawings for Buttercloud merchandise and a ribbon cutting ceremony at 10am. And don't forget, we are MUCH more than just a bakery. We offer breakfast, lunch and even a rotating selection of local beers and wines. Bring the whole family.